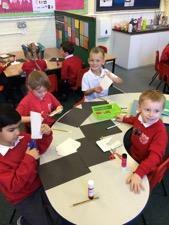 This week, Year 2 have been learning to count in twos, fives and tens. 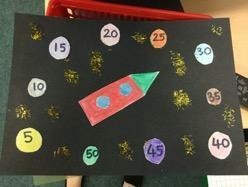 We have been taking part in some exciting activities such as creating our very own space pictures with each planet having a different number in the five times table on it. It was important that we were able to put the planets in order. 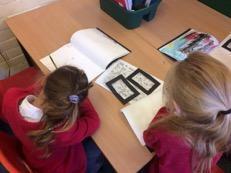 In Topic, we have been learning about Vincent Van Gogh and studying one of his most famous paintings, ‘Starry Night’. 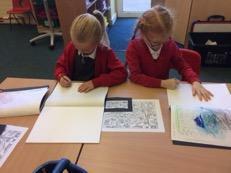 We have used some of his ideas and techniques to create our own line drawings.